Excellent news, Space Unicorns! Over the weekend at Dragon*Con, The Uncanny Magazine Podcast won a 2016 Parsec Award in the Best Speculative Fiction Magazine or Anthology Podcast category! We are positively thrilled. Thank you to our excellent Year Two podcast team of Deborah Stanish, Amal El-Mohtar, C. S. E. Cooney, Erika Ensign, and Steven Schapansky. You made the podcast so special, and all of you will be getting nifty Parsec Award star trophies. Also, thanks to our guest readers Heath Miller and Max Gladstone, and all of the creators who had their works featured or participated in the interviews. And of course a gigantic thank you to all of our listeners and the Space Unicorn Ranger Corps for making the podcast possible. Also, a huge congratulations to the Verity! Podcast (featuring Uncanny‘s Deborah, Erika, and Lynne, plus Katrina Griffiths, L.M. Myles, and Tansy Rayner Roberts) for winning a Parsec Award in the Best Speculative Fiction Fan or News Podcast (Specific) category! Look! They sent us WINNING ART! 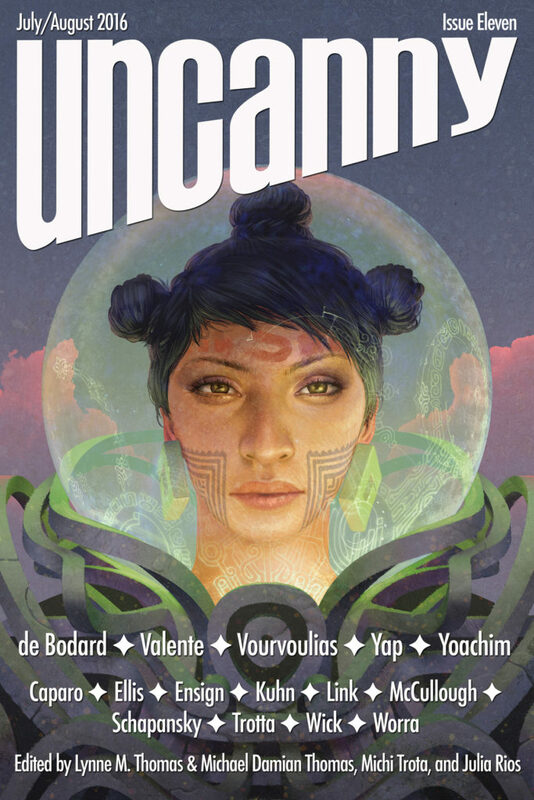 Coming September 6th, THE TWELFTH ISSUE OF 2016 HUGO AWARD-WINNING UNCANNY MAGAZINE!!! The free online content will be released in 2 stages- half on day of release and half on OCTOBER 4th. 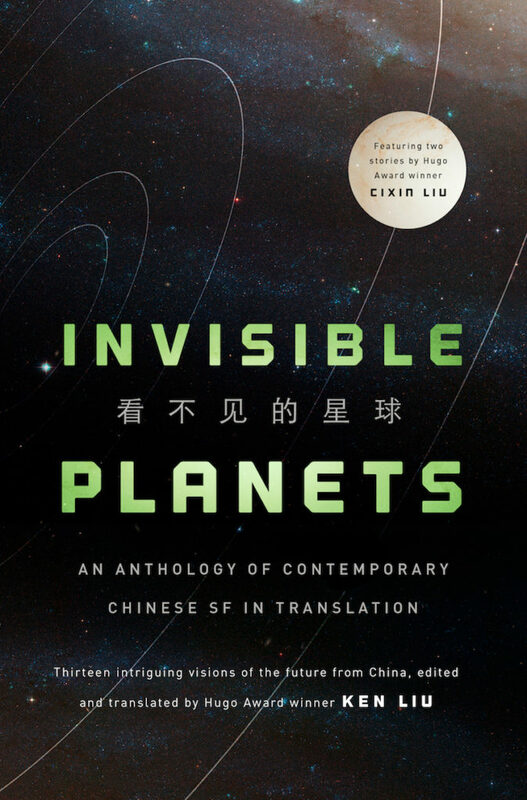 Yes, we know this is older news, but we’re just recovering from Worldcon and the Hugos. 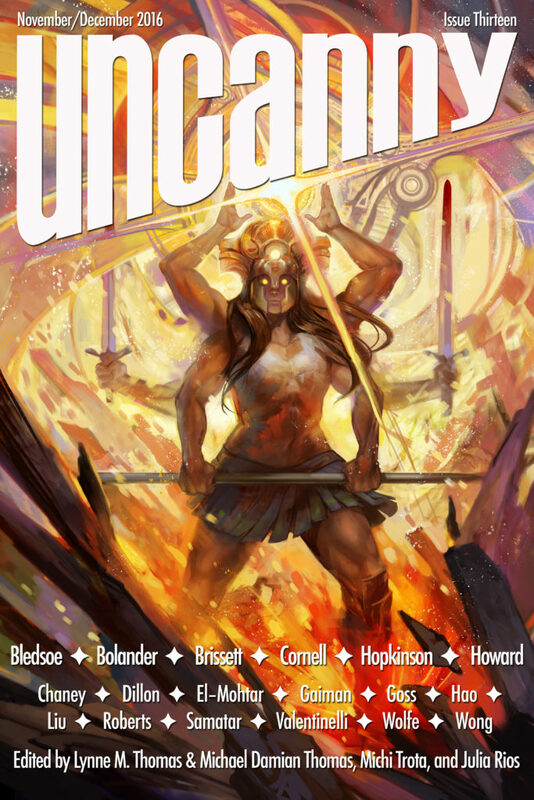 Uncanny Magazine Year 3 is fully funded and reached every stretch goal! Uncanny will stay the same size! We’ll have original covers by Galen Dara and Kirbi Fagan plus Grace Fong illustrations for Alyssa Wong’s story! There will be more Uncanny blogging including keeping Liz Argall’s Things Without Arms And Things Without Legs reaction comic per issue, and adding the new Max and Amal Go to the Movies column, PLUS new columns by Michael Damian Thomas and Michi Trota! You made this happen. As we’ve said, this is your magazine. It only exists because of the support of this community. 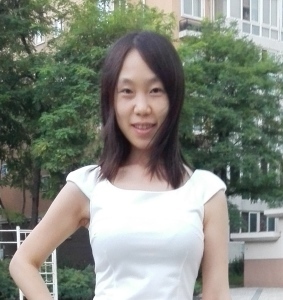 We promise that we will once again try our hardest to live up to your trust and expectations. 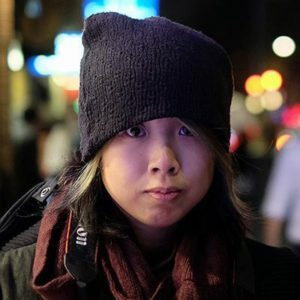 We did a Livestream on the Uncanny Magazine Year 3 Kickstarter page for our last hour featuring the Thomases, Michi Trota, Amal El-Mohtar, Tanya DePass, And Isabel Yap. If you missed it, you can watch it here! SPACE UNICORNS! 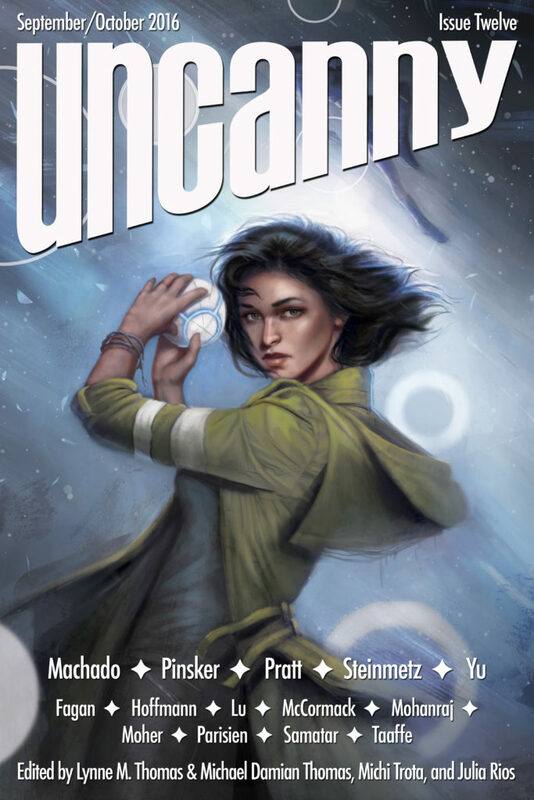 UNCANNY MAGAZINE‘S LYNNE M. AND MICHAEL DAMIAN THOMAS, AMAL EL-MOHTAR’S “POCKETS,” AND SAM J. MILLER’S “THE HEAT OF US: NOTES TOWARD AN ORAL HISTORY” ARE ALL WORLD FANTASY AWARD FINALISTS! We had many hopes for our first year of Uncanny Magazine, but even in our wildest dreams we didn’t foresee this much award attention. Stories, covers, the podcast, and the magazine itself have been named as finalists for the Hugo, the Locus, the World Fantasy, the Chesley, the Spectrum, the Parsec, the Theodore Sturgeon, and many other awards. 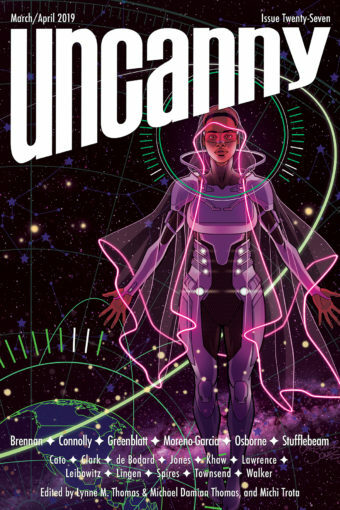 Thank you, you phenomenal Space Unicorn Ranger Corps for making Uncanny Magazine possible, and giving us the means to share these special pieces with all of you. This is the best community of staff, contributors, and readers possible. If it is possible to be both proud and completely floored, you’re looking at it. Coming July 5, THE ELEVENTH ISSUE OF UNCANNY MAGAZINE!!! The free online content will be released in 2 stages- half on day of release and half on August 2.